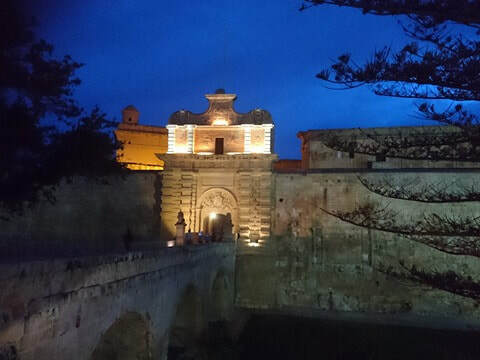 I made contact with the Malta ME, CFS and Fibromyalgia Alliance before flying out for number 15 of 28, here’s what they told me about life in Malta with ME. 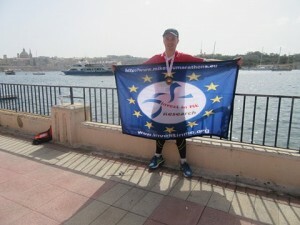 I had lots of great support from the group and they managed to get the challenge featured in Lovin Malta alongside the coverage I managed to secure from Malta Marathon. Really delighted to have brought in over £700 for this race and get to £10 K overall (39%) at the halfway mark for Invest In ME. In this race I’d be joined by my good mate Ben Scott who was running once again for Invest In ME and also his brother Jay who was taking on his first ever marathon. 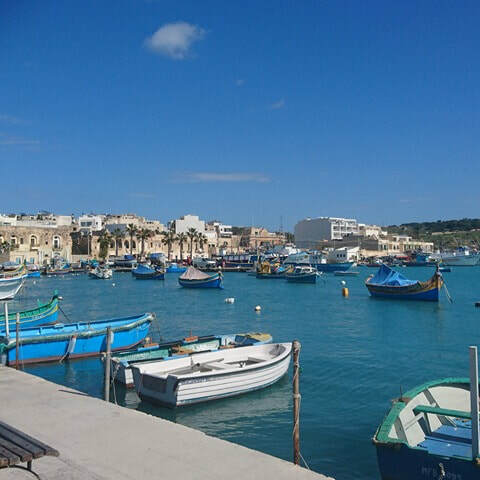 We explored Malta with a bus tour stopping off in the lovely fishing village of Marsaxlokk before seeing much of the course we would run around Valletta. Meeting near to our hotel in Sliema at 5.30 am we got onboard the bus to Mdina still in darkness for the 30 minute trip to the start line. There were plenty of Brits around us as we wandered around through the ancient city gate to look out over the countryside and route that we’d be covering for the first 16 or so miles of the race. They filmed parts of Game Of Thrones here don’t you know.